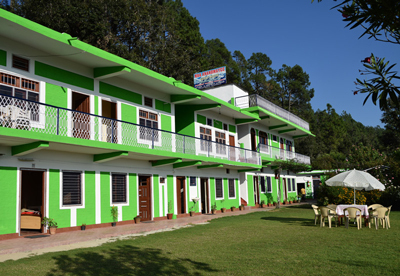 Maa Anandmayee Guest House (माँ आनंदमयी गेस्ट हाउस) is Situated near Maa Anandmayee Ashram in Dhaulchhina (धौलछीना), Almora (अल्मोड़ा). It is located in the beautiful valley of Dhaulchhina (धौलछीना) near world’s famous wildlife Sanctuary Binsar (बिनसर). It is an ideal holiday destination, tastefully designed in harmony with the peaceful surrounding offers a perfect setting to commune with nature. Suitably located facing a picturesque valley it is an ideal place, economical, affordable and yet with uncompromising comfort for the person seeking rest away from hectic city life. 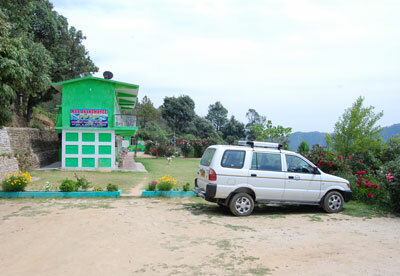 Just 1 km from the Guest House, Maa Anandmayee Ashram is one of the major attractions among tourists. 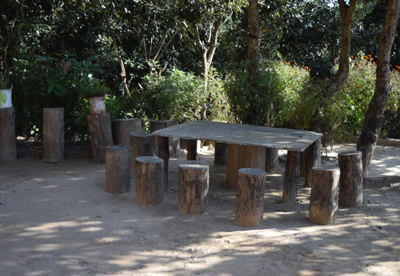 The Guest house is built for those who love to enjoy the Ecotourism and wish to explore the culture of the local hill tribes and their livings, to enjoy trekking. 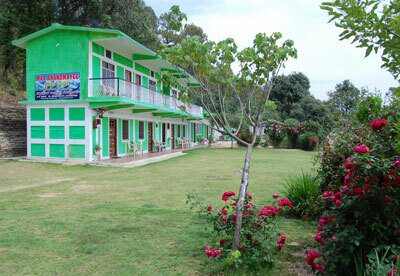 The Guest house is complementing the natural beauty of unique location; each of the all rooms opens out to the lush garden, scenic beauty. 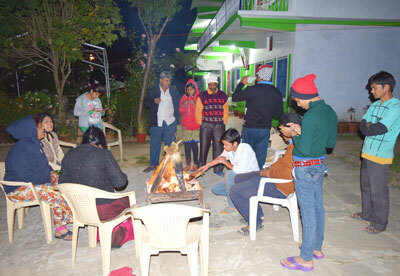 At Maa Anandmayee Guest House you would meet a very helpful and courteous staff to make your stay as comfortable and memorable as possible. Our simplicity and friendly attitude gives you all the more reasons to stay with us. It is a family friendly and children friendly place. This is the place you will love to patronize for all times to come. Our Endeavor is to provide Comforts of a Home away from Home at a Reasonable Room Tariff. 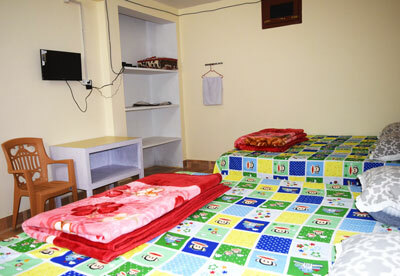 It is very dear to our hearts to provide visitors a clean comfortable and tidy accommodation at affordable rates. Staying at Maa Anandmayee Guest house will definitely make your trip perfect. All our staff is always helpful and friendly.